After 23 versions and nearly a years work the Ceva Repronomics brochure is finally finished! 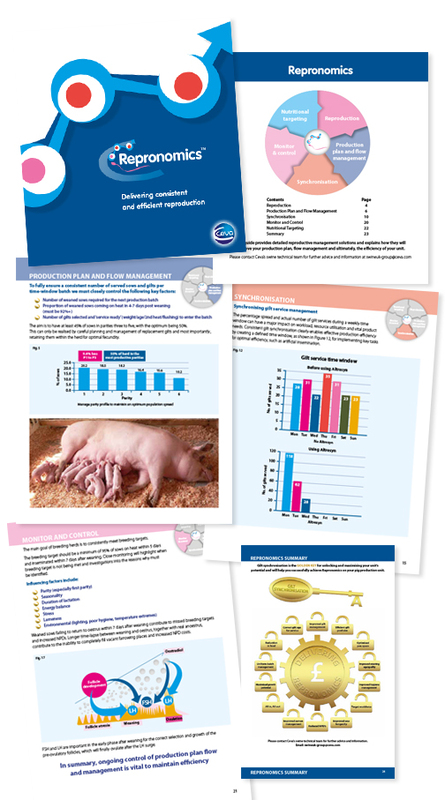 The guide provides detailed reproductive management solutions and explains how to improve your production plan, flow management and ultimately, the efficiency of your pig unit. Recent concepts for Ceva UK. Hyogen/Coglapix, Gleptosil and Altresyn. Video for Ceva UK for their Douxo range of topical dermatology products. I did the script, storyboard and art direction. New product launch for Ceva Animal Health. 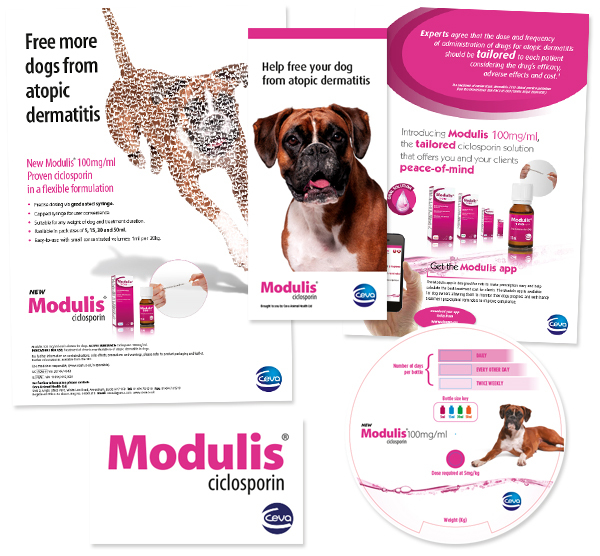 Modulis® is a ciclosporin (immunosuppresant) used to treat atopic dermatitis. Modulis is being launched at the BSAVA. Work included advert, vet detailer, consumer literature, exhibition panels and sales aids. The original concept was developed by RLH.